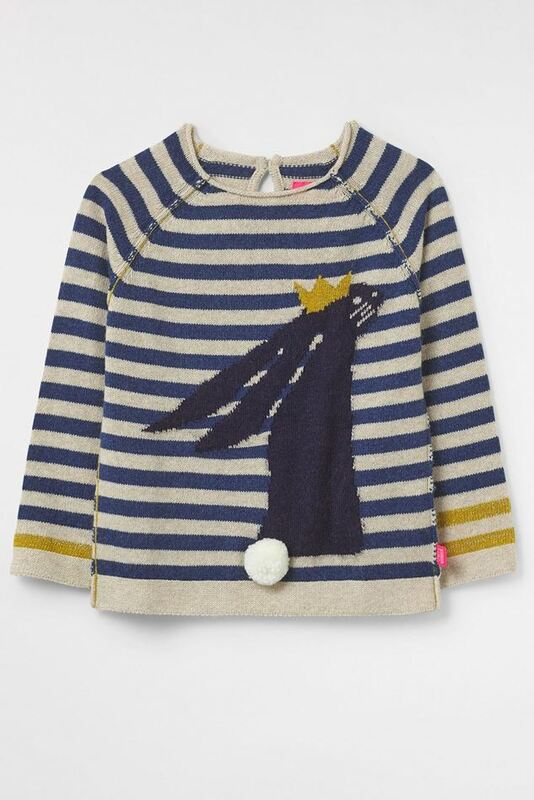 Hop to it with White Stuff's Stripe Bunny jumper, this super-soft merino wool knit comes with a large bunny design, soft pom tail and a metallic lurex to give it a touch of sparkle. Hop to it with White Stuff's Stripe Bunny jumper, this super-soft merino wool knit comes with a large bunny design, soft pom tail and a metallic lurex to give it a touch of sparkle. White Stuff have added a keyhole at the back which we have secured with a glittery button.